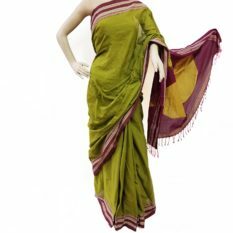 Traditionally produced on pit looms, Ilkal sarees are more durable and comfortable as compared to other types of sarees because of the fine quality yarns used, with the best tensile strength to withstand the traditional handloom weaving technique. Ilkal saree is luxurious in appearance, has a natural deep luster with red or marron borders. 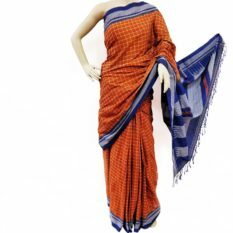 The significant distinction of Ilkal saree is the “Pallu” which is weaved separately and attached to the body warp by interlocking series of loops, locally called as Tope Teni technique which also increases the Saree length to 7 or 8 Meters.